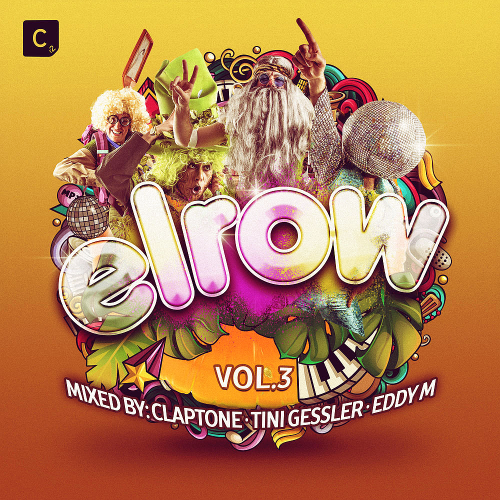 After years of global success, party starters elrow have pioneered some of the world most craziest, frantic and awe-inspiring events, forging these genre defining festivals as rightful cornerstones in electronic music culture. In display of elrows sheer magnitude, a total of 105 shows across 70 cities in 33 different countries in 2018 alone is sure to continue the festivals position as a global spectacle. Leading up to London's 'elrow Town', their biggest elrow event in the UK, by which all 15,000 tickets were sold in just under 6 hours, Cr2 Records are thrilled to announce elrow Vol. 3 - the next edition featuring a star-studded lineup that sees DJ Mags winner of Top DJ of 2017" Claptone - perhaps dance music's most mythical and fabled artist that strikes his audiences with bliss and euphoria. Come and join the craziest party in the world.